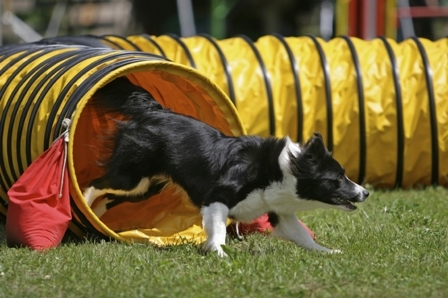 In the agility classes at My Top Dog Training, I have consecutive class curriculums - Agility I, II, and III. You can start with Agility I and work your way up to Agility III. My Top Dog Training is even prepared to help you compete in agility trials if you choose to go all the way with the sport!